Terry Crews has just completed the most important role of his film career. At least in my opinion. And the opinion of any Major Lazer fan. 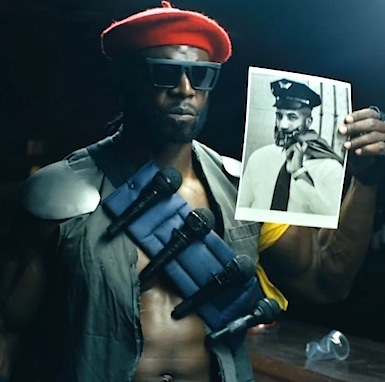 So it’s Major Lazer, using a major lazer (among other things) to fight off a man with another, more powerful major lazer. I wish there was a way to watch this battle live. And on acid. This concept of the video is perfect for this particular adrenaline-pumping song, and gives a brilliant new perspective to the animated protagonist for whom the band is named. Such a fun video to watch. For a really un-fun video of Major Lazer, check out this disastrous interview they had with some lady.